"King Kong" is now a musical with an enormous ape on its Broadway Stage. Can he capture our hearts as well as the gal? Howard Shapiro climbs the Empire State Building with Kong (unless he decides to take the elevator) to find out as he reviews the show this week on In A Broadway Minute Friday (11/23) at 8 am and Saturday (11/24) at 10 am. 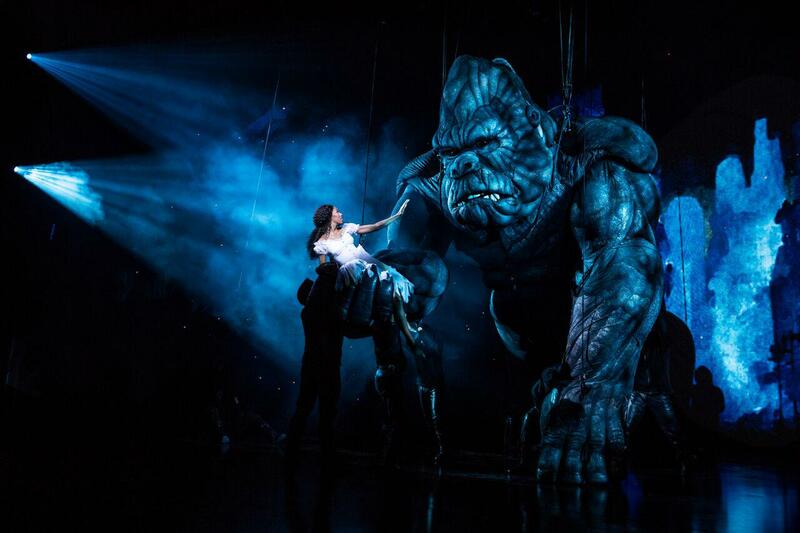 Christiani Pitts as Ann, with King Kong in the Broadway production of "King Kong."